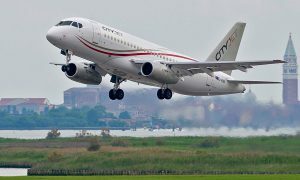 CityJet, the Irish European regional airline, has announced that it has agreed to take delivery of 15 Superjet SSJ100 passenger aircraft from Superjet International, commencing next year. 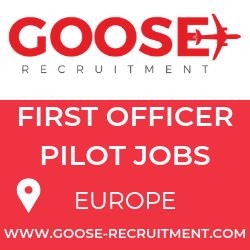 Superjet International (SJI) is a joint venture between Alenia Aermacchi, part of the Finmeccanica Group of Italy and the Russian Sukhoi corporation. 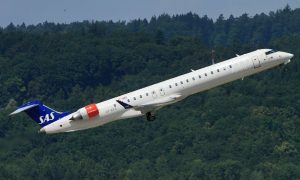 The Executive Chairman added: “We intend introducing the SSJ100 on charter activity in 2016 and will place it on our London City route network in 2017. We believe our customers will love this jet,” he added. The SSJ 100 seats 98 passengers and is the first aircraft in its class to offer five abreast seating in a generous 32” seat pitch. Combined with a wider seat and a cabin height of over 2m, the SSJ100 offers more cabin and overhead bin space than competitors. The SSJ100 utilises the latest in design and flight technology from key manufacturers such as PowerJet for the engines (JV between Snecma – Safran and NPO Saturn) and Thales (avionics), Goodrich (wheels) and Honeywell (auxiliary power unit) from the USA. The interior benefits from the Italian design house of Pininfarina. The aircraft achieved European Aviation Safety Agency (EASA) certification in February 2012. CityJet has agreed to take four aircraft in 2016 with the delivery of an additional 11 throughout 2017. The airline has also taken options on an additional ten aircraft.